Premium pay TV channel Showtime has expanded the content subscribers are able to access using the Showtime Anytime iOS and Android app. While previously limited to on-demand content, subscribers can now view the company's East and West Coast live linear feeds. That means even when they're away from their televisions, subscribers don't need to wait to see favorite Showtime shows, and can watch them as they air. The Showtime Anytime app requires authentication, and is only available to pay TV customers using Comcast Xfinity, DirecTV, Optimum, Verizon FIOS, and AT&T U-Verse. Once authenticated, subscribers can watch the network feeds on iOS or Android smartphones or tablets. Showtime introduced the Showtime Anytime app in 2011. 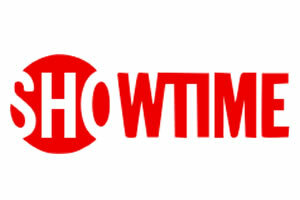 Besides the Anytime app, Showtime offers the Showtime Sync App that displays related features such as trivia, polls, and predictions for enhanced Showtime programs. The network has also created special apps for the programs "Dexter" and "Weeds." The updated Showtime app, version 2.0, includes stability and performance improvements, as well. Along with the app upgrade, Showtime announced that it has signed a two-year deal with Scott Buck, executive producer of "Dexter," to develop new projects for the company. Also, a new horror series called "Penny Dreadful" will debut in 2014. HBO isn't the only premium movie service with an online-only plan. Now viewers have one less reason to get a pay TV subscription.